Happy Saturday lovelies! Since it hasn't been that cold in London despite it being mid-December, I've been able to wear outfits that I usually wouldn't this time of year. 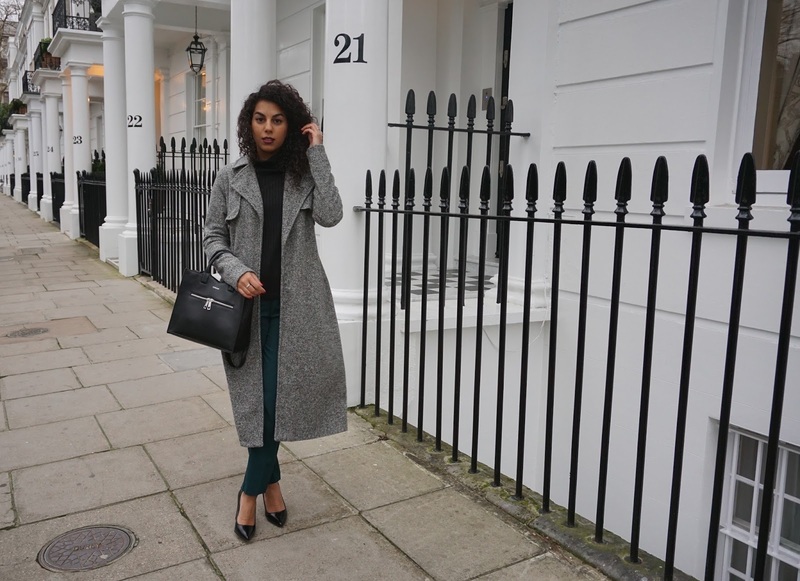 For this look I dug out my handy old trench - well it's new, but when I say dug I mean trying to get it out my wardrobe without everything else falling out! 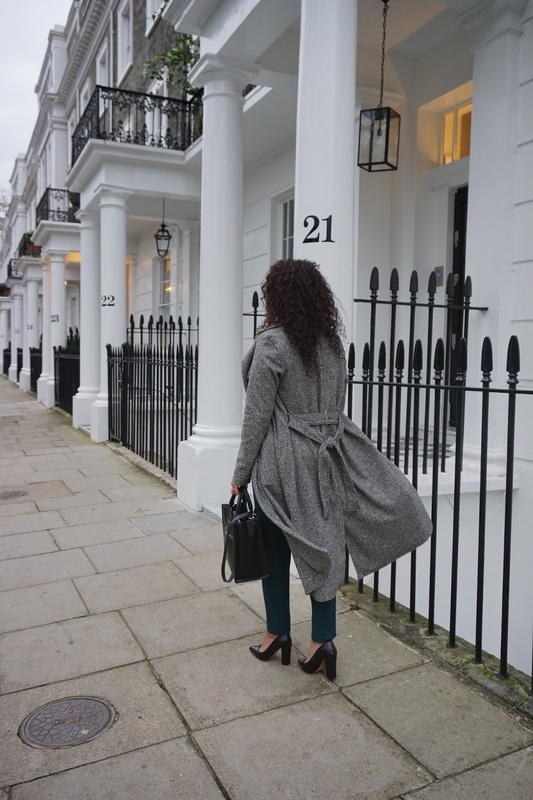 Trench coat's are timeless and never go out of style. This one is in a tweed jersey texture, has a belted waist, large lapels and of course my favourite feature, it's longline. 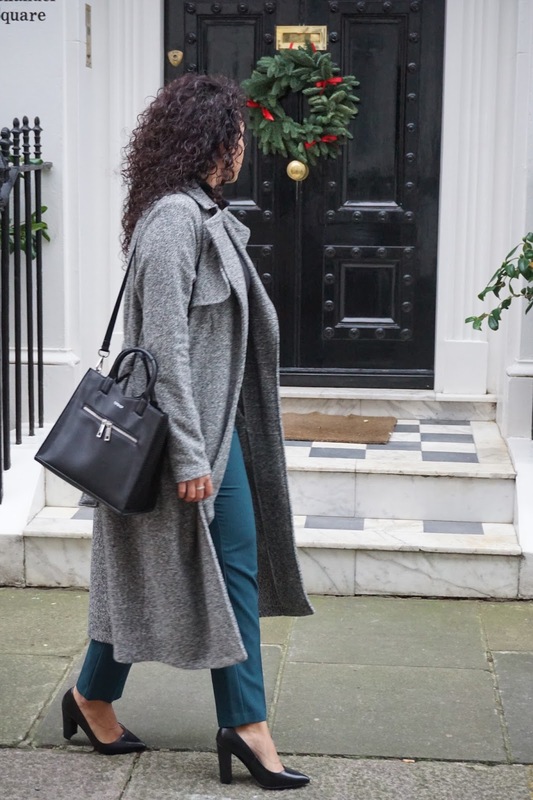 For me coats that are longer in length really add something extra to my outfits and always make me feel elegant without being too excessive and drowning in comparison to other fits. 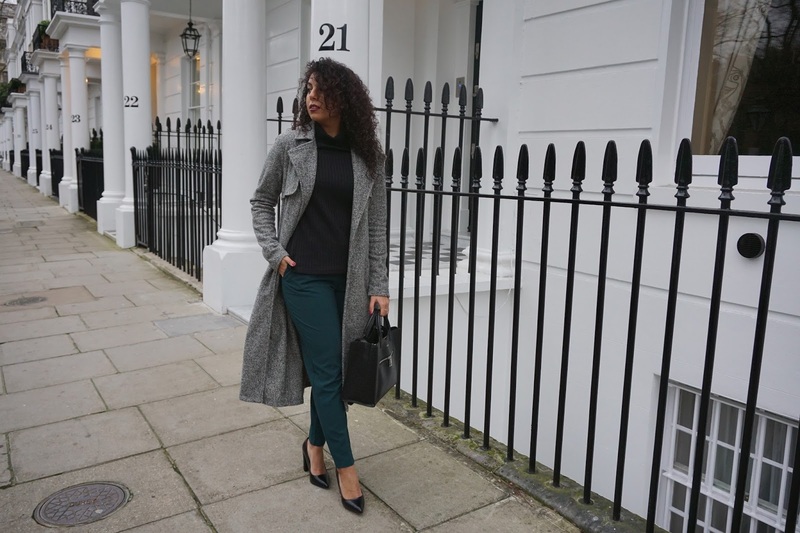 Paired with a ribbed polo neck and green trousers (yes I'm trying to venture into wearing more colour) this look can be worn from day to night. The heels of my shoes are actually black glitter, but because it's so subtle I couldn't capture it on camera and I completely forgot to take a close up. I'm sure they will appear on my blog again anyway!